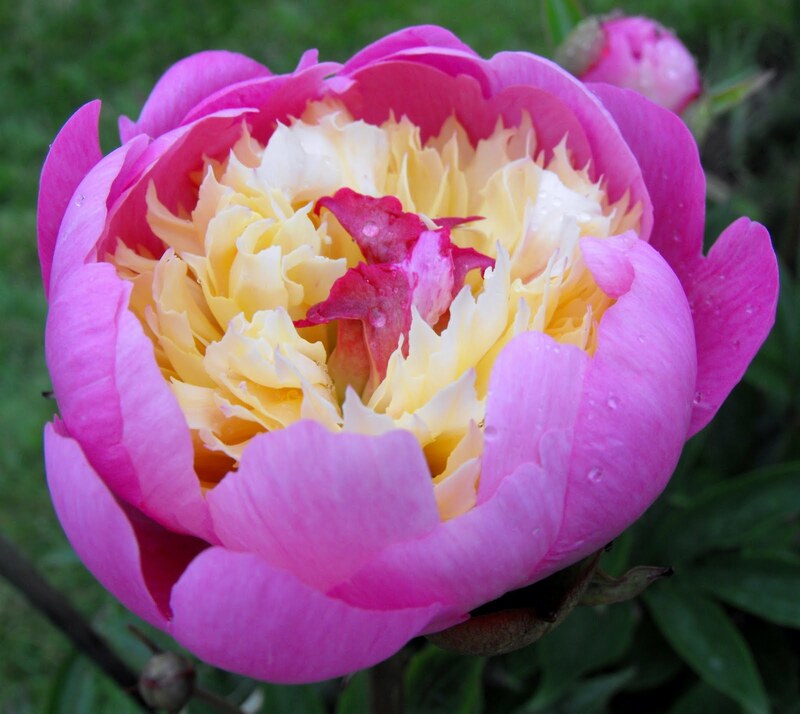 The peonies started to break open this past week. 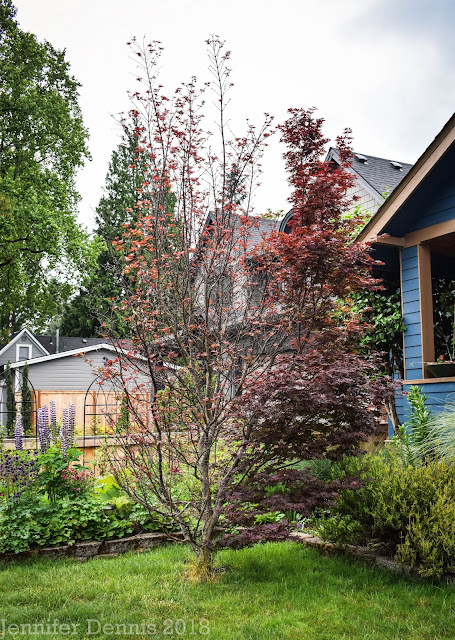 It is always a source of great enjoyment and this grouping is located near the street so passer-byes can admire as well. The roses are late this year as well. 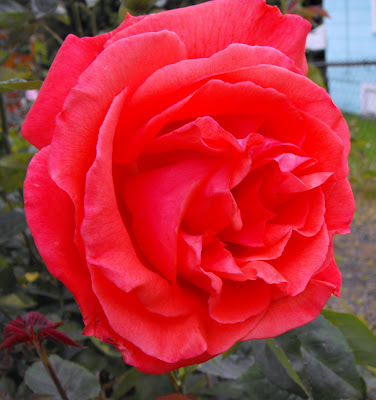 Tropicana Hybrid Tea Rose has it's first bloom. I forget what this fuzzy blue flowering shrub is. 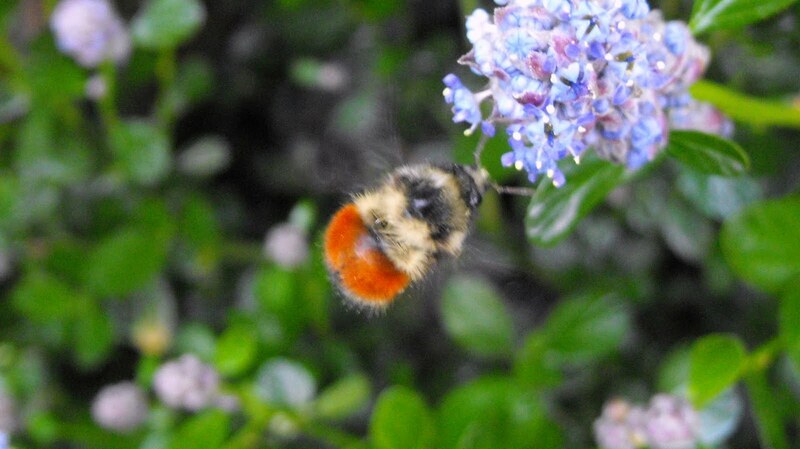 It attracts a lot of bee's and they are welcome! I have three varieties of Delphinium blooming. One variety is a large impressive plant! 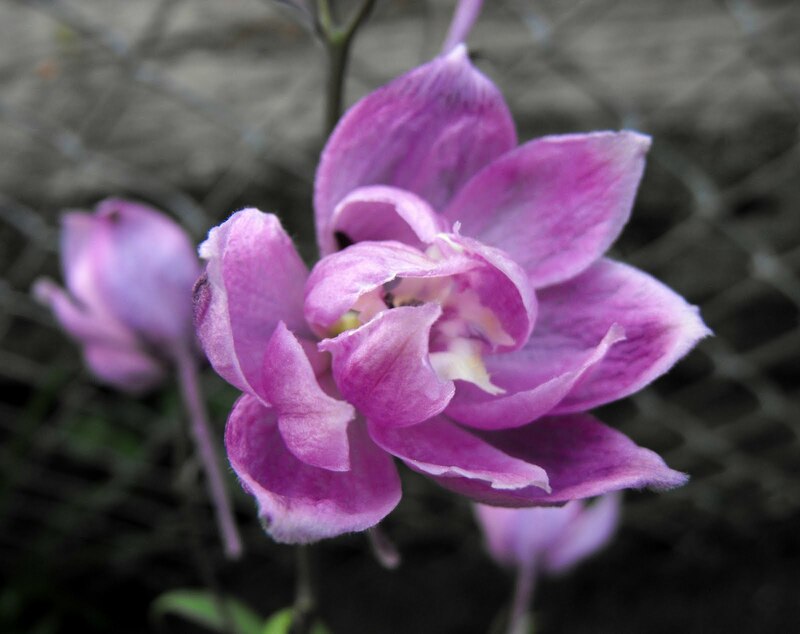 And a new Delphinium variety showcasing a lighter shade of purple. The red Asiatic lilies are blooming around the yard. 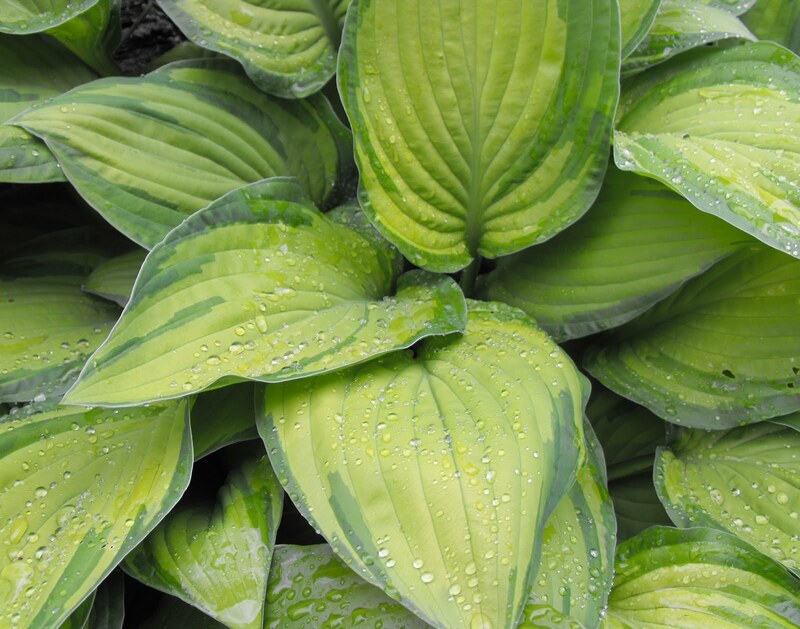 Finally, the hostas have leafed out and showcasing lovely variations of color. Is the fuzzy blue flowered shrub a Ceanothus? That peony is so unique with the double coloring...very beautiful! Happy GBBD! You have roses already! Good for you. Mine are still buds (tiny buds). Love the photos. My peony is just getting buds. 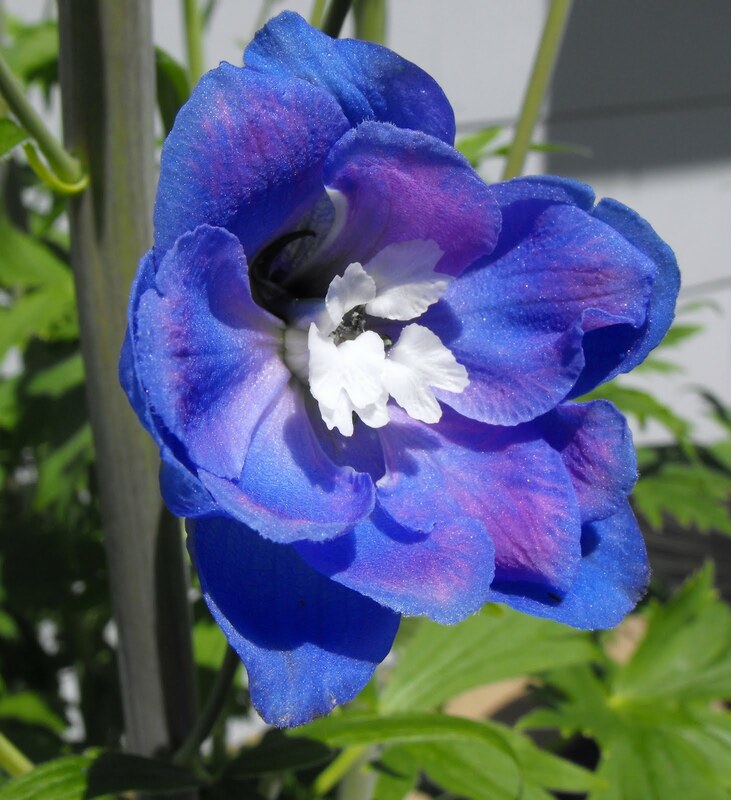 I love the delphiniums. Especially the pinkish one. I had one like that and then the dummy died. It all looks great. We have the same peony! I thought that's what your header picture was. My little one had her preschool picnic and the kids were asked to bring a flower for their teacher, and 'Sorbet' was what she chose to bring. 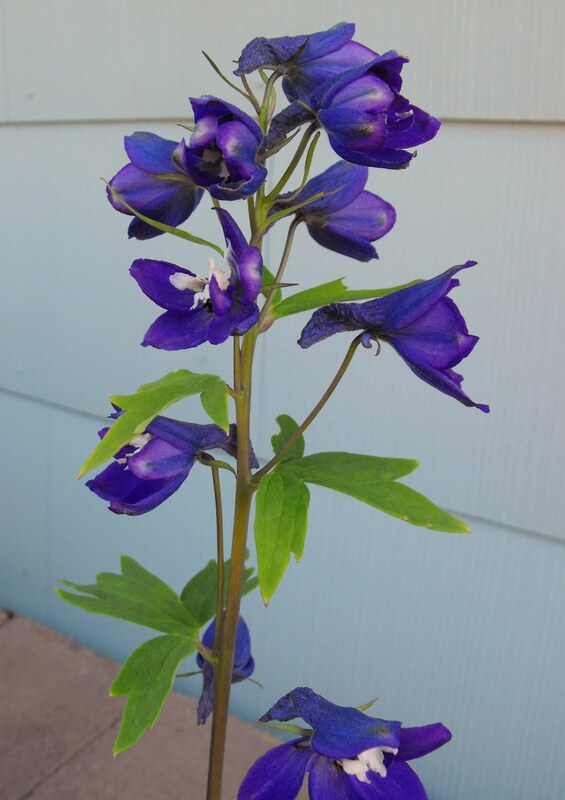 I hope my delphiniums will end up like yours one day. The plants I bought are blooming, but are short still. 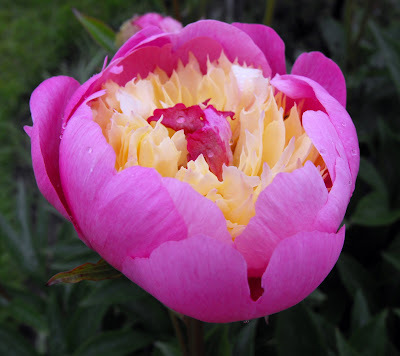 Jenni, I really must get a peony or two for the garden. I say this every year when I see how lovely they are. I love the double colored one you have. @Sue..I have no idea..teehee! I need to figure it out one of these days less I keep calling it..fuzzy blue bush! Oh help, it's that time again! I meant to post something this month, not that we have much to show. For all your cool spring your things are looking pretty good. That peony is an absolute delight. 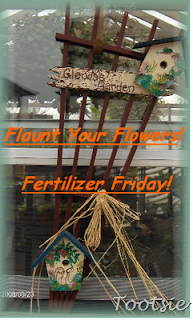 And your hostas! Not a snail nibble in sight. Look at the size of those delphiniums! I love those!!! Love, love, love those Delphiniums...so beautiful! i like the delphs also. cant grow em here. Yes, it's a ceanothus, Jenni. Mine is also in full regalia right now. The bees are loving it. Beautiful blooms! Just fell in love with the Sorbet! 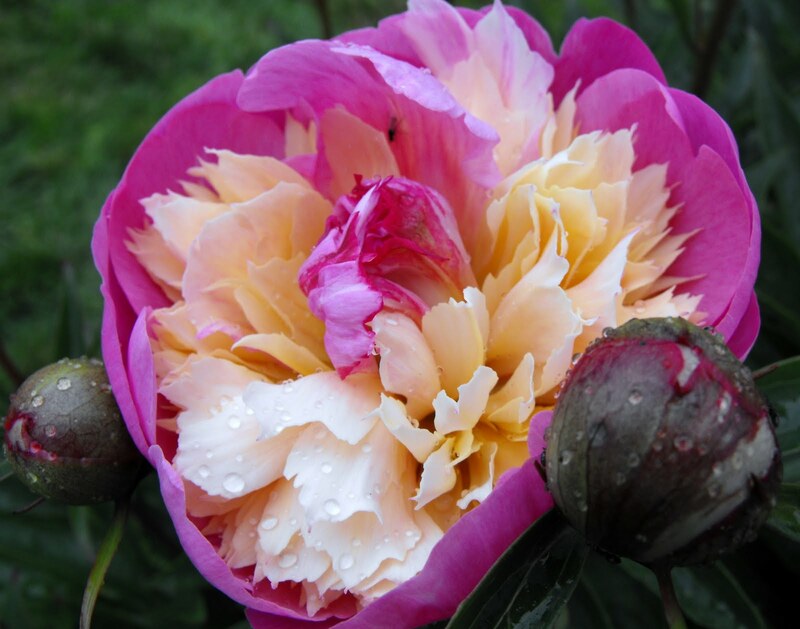 Jenni, I love that Sorbert peony. I see it in your header? I always thought it was a Bowl of Beauty. I have one of those and it's very similar. Will be blooming soon! 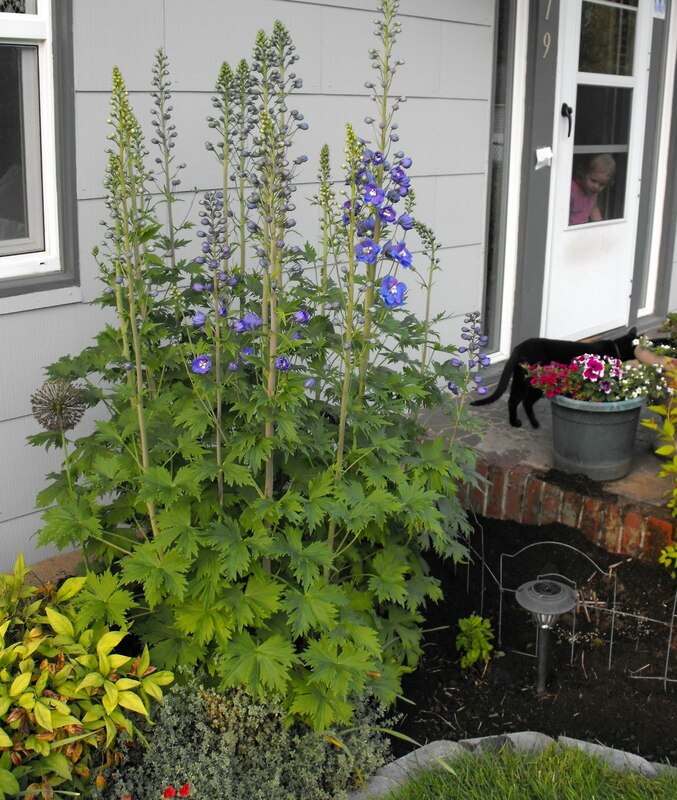 Your delphiniums sure are beautiful! It all lools wonderful...have a great day. Jenni what a beautiful peony. Your looks much prettier than my Sorbet. Maybe I need more sun on mine. The blue delphiniums are gorgeous too. Have a wonderful weekend! I am a huge peony fan and just love this double sorbet peony! It's gorgeous! 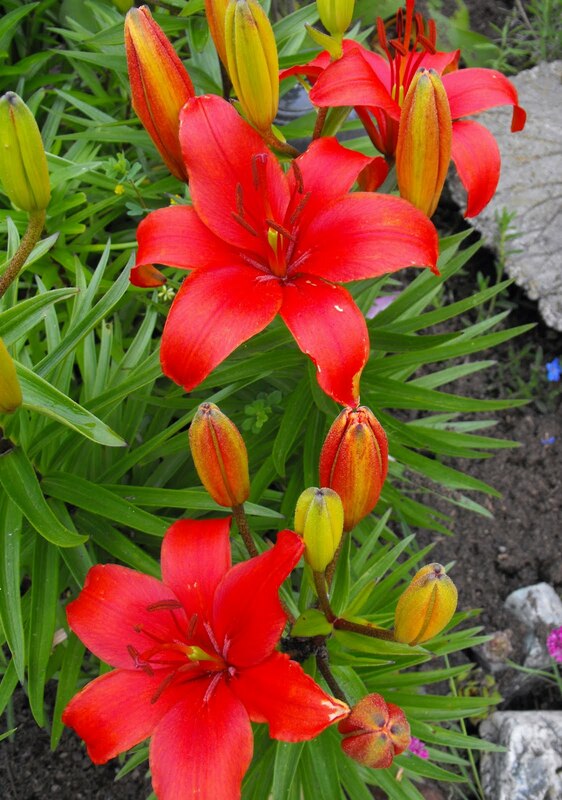 Really gorgeous blooms. 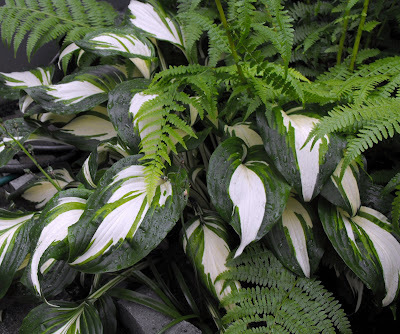 Love the varigated hosta in the last photo; I've had my eye on those but haven't got one yet.